Toronto-based design studio Teehan+Lax has released an updated version of its iPhone PSD template for app designers that reflects the new look and feel of iOS 7. 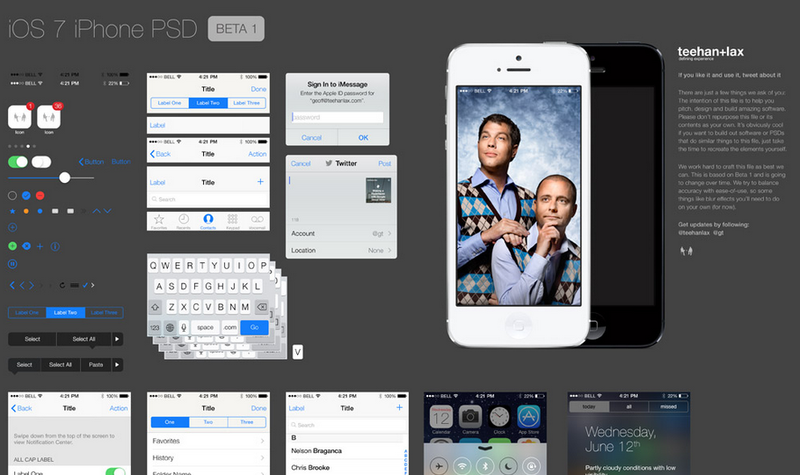 Designers looking to mock up new versions of their apps with Apple’s new visual language should take a look. The package includes all of the major UI elements including buttons, stock icons and more drawn as individual vectors, making for easy scaling and tweaking. It’s well organized into groups in Photoshop and should make for a handy update for those looking to quickly get apps looking great on iOS 7. You can download the template now at Teehan+Lax.